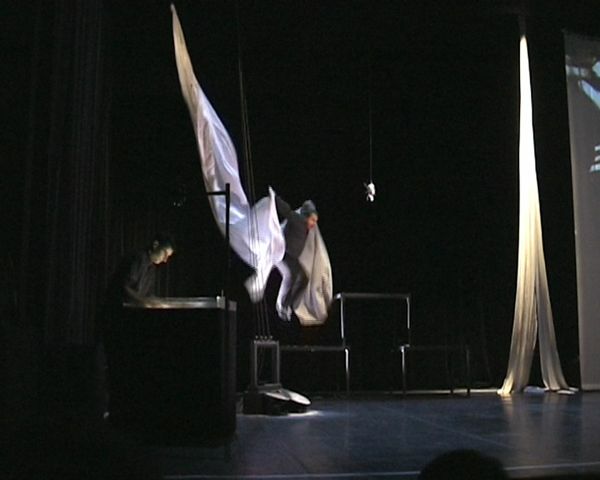 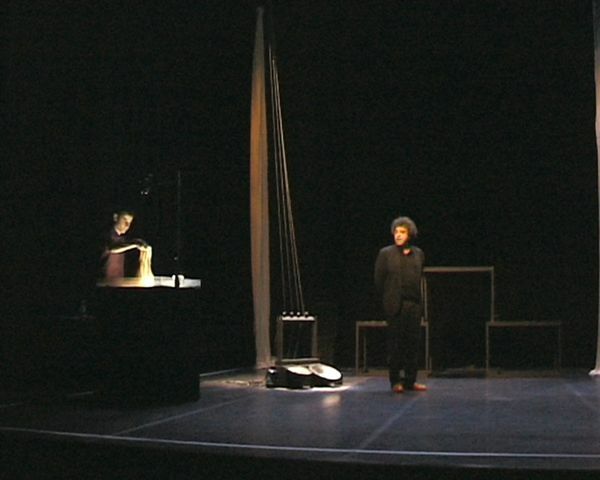 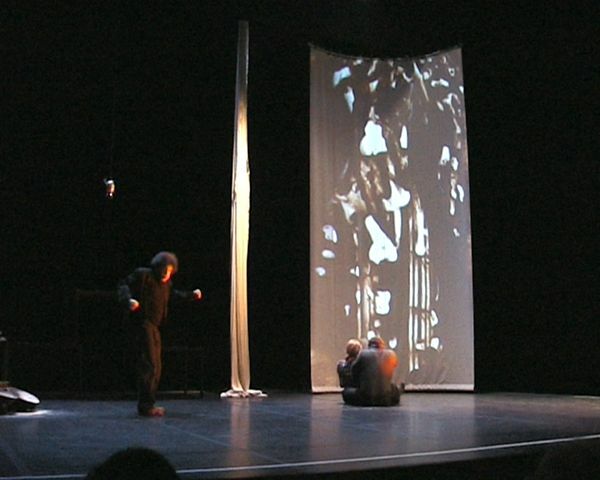 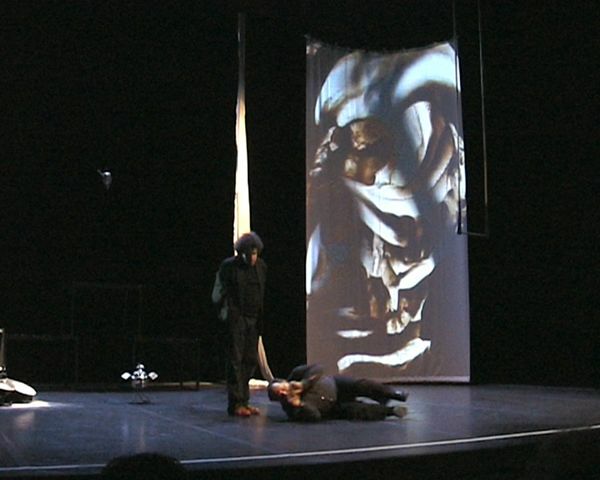 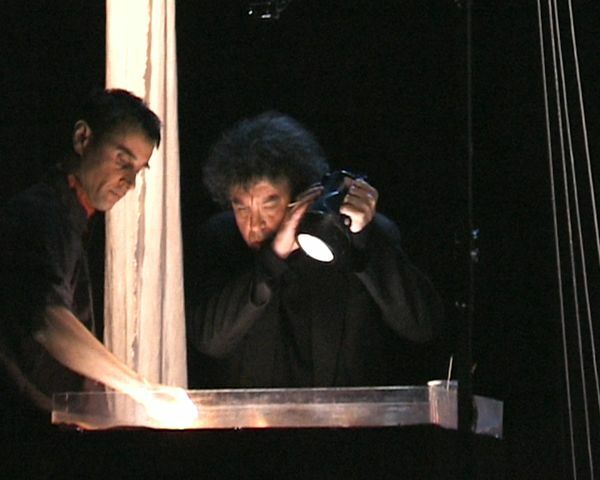 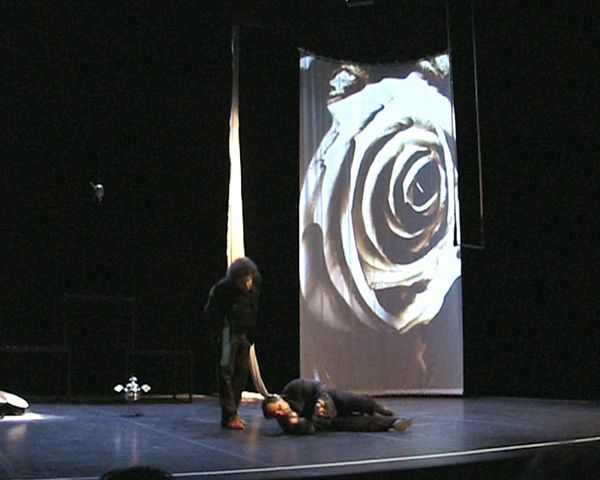 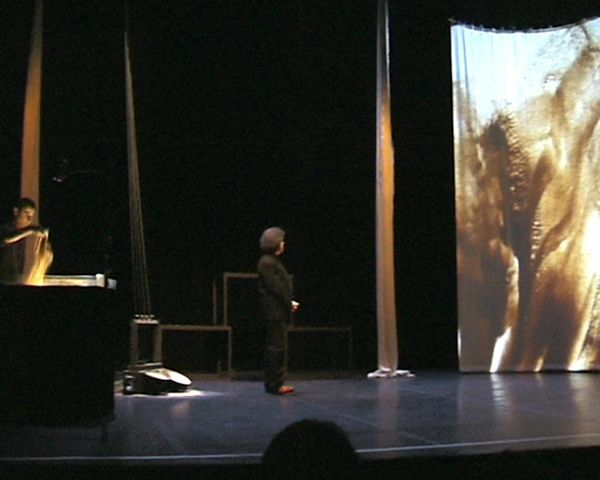 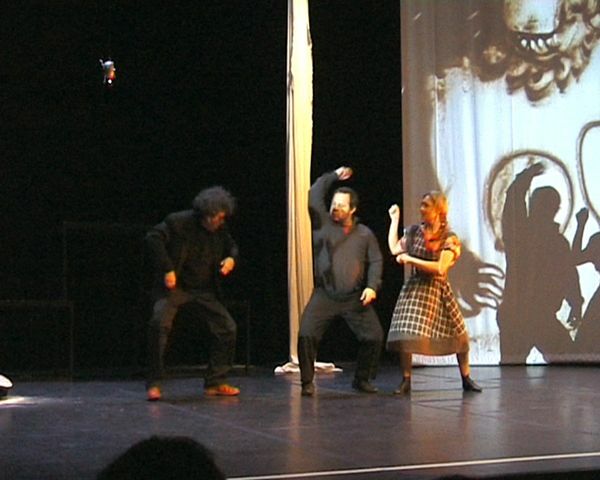 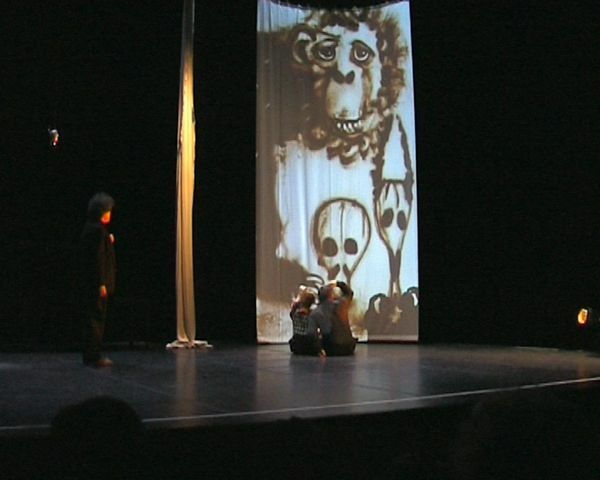 With the company “Singe Debout” ("Upright Ape") David Myriam participate in the new version of the play entitled "Cet animal qui nous regarde" ("The animal looks at us"). 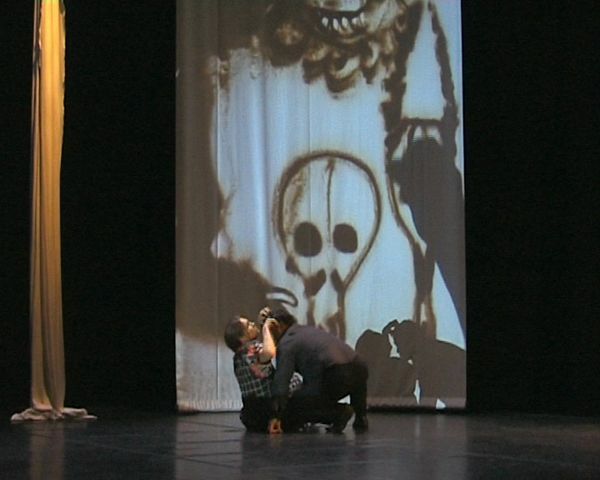 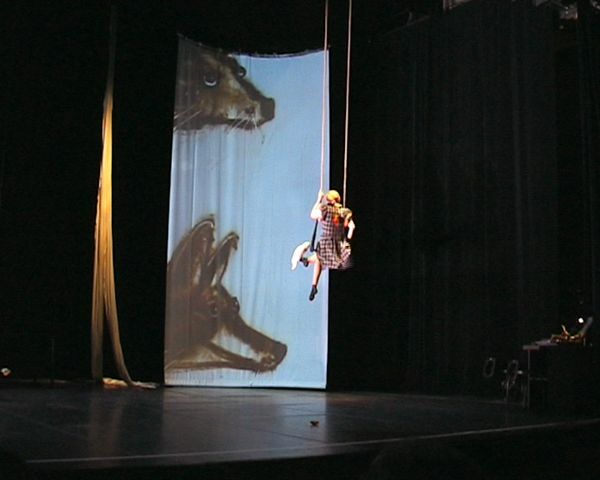 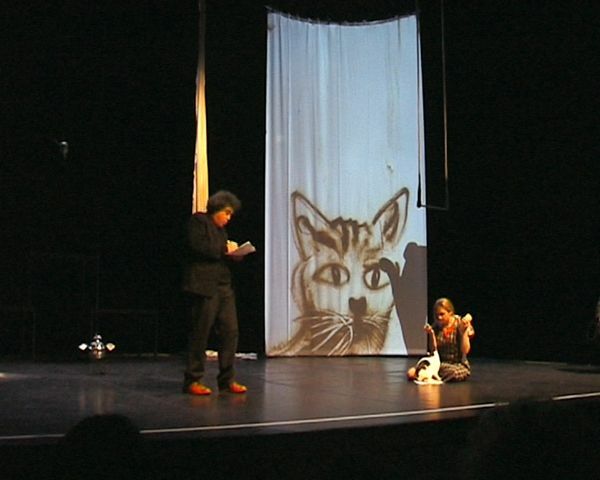 With live sand drawing, the artist creates live pictures on stage to discuss the relations of animals and humans. 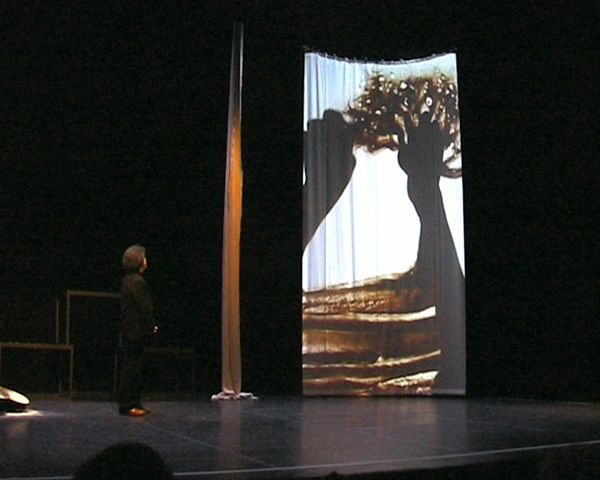 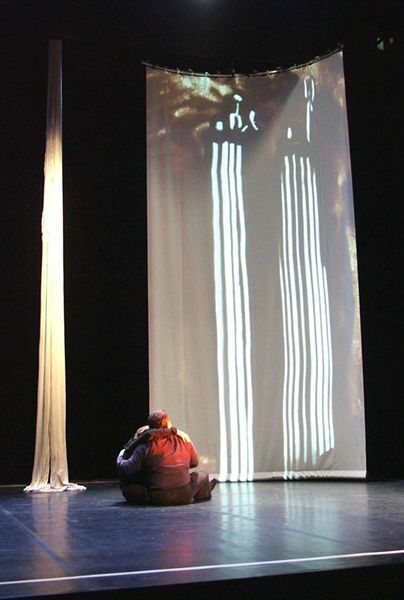 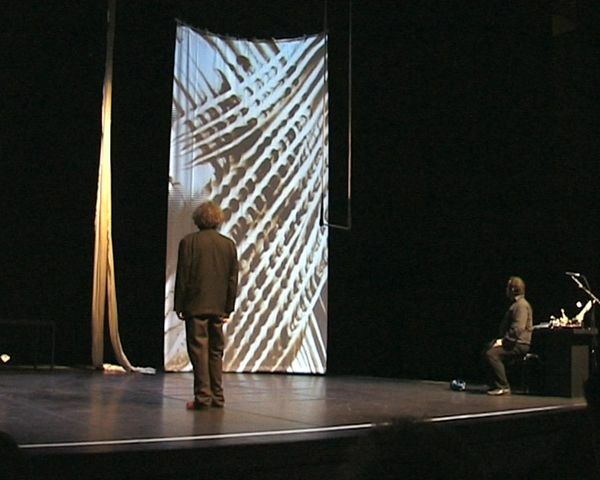 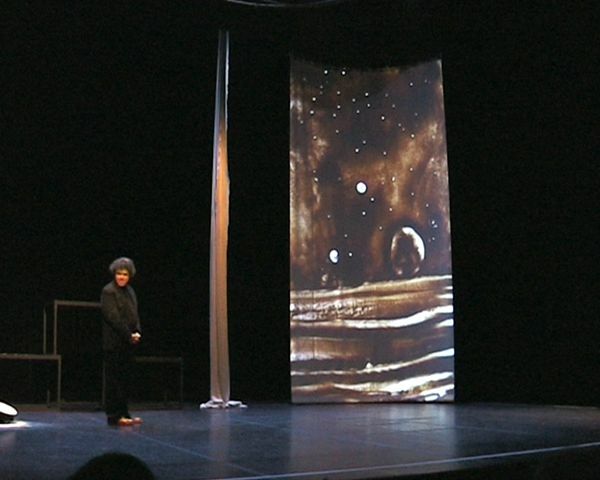 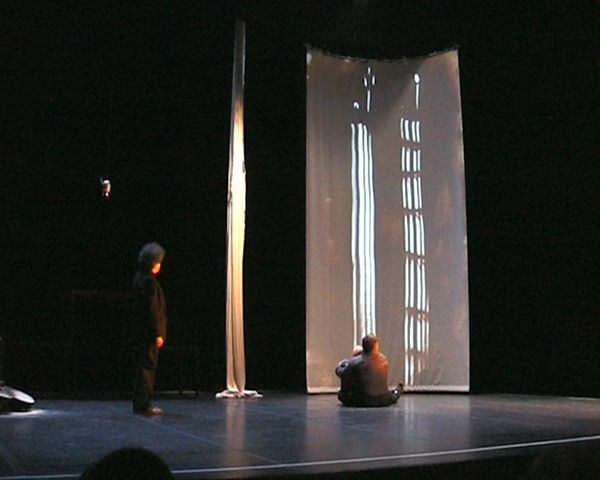 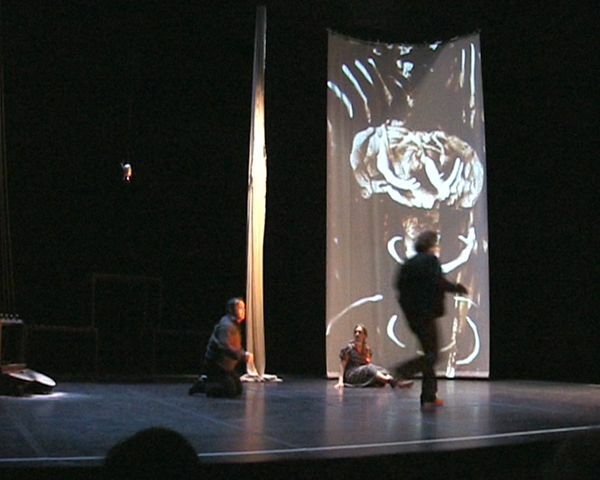 A large and vertical screen is using for video projections. 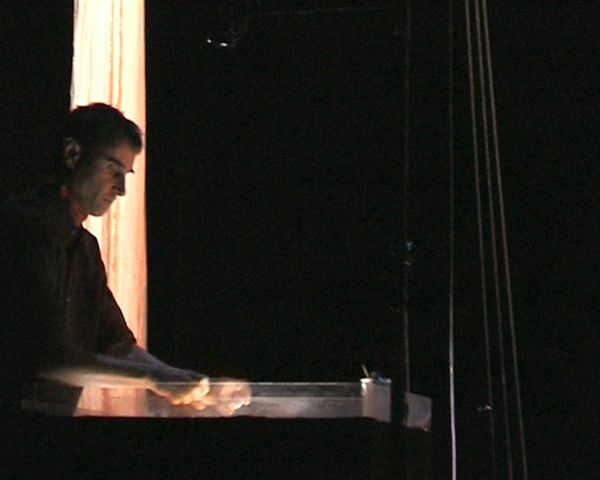 Direction: Jade Duviquet & Cyril Casmeze. 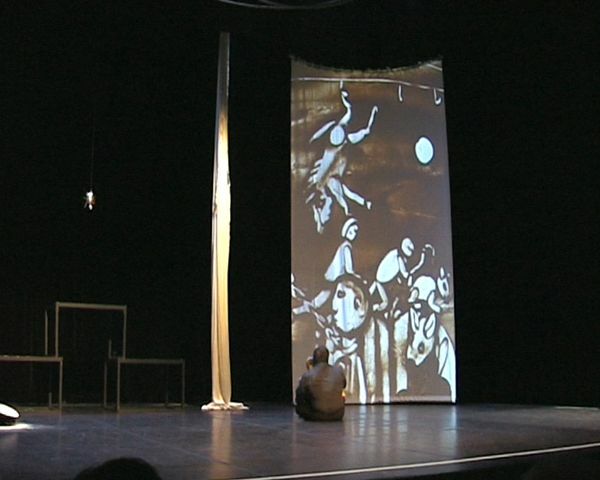 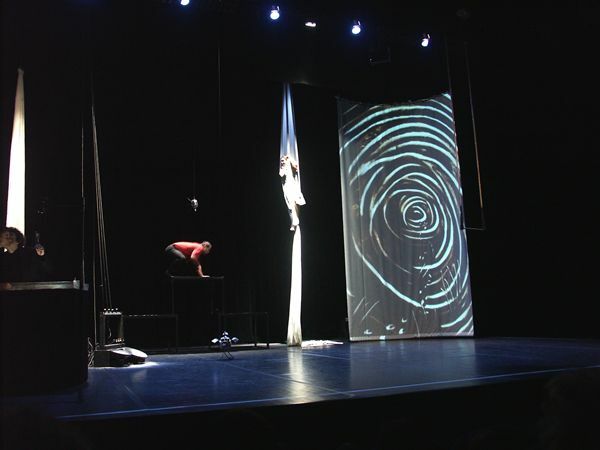 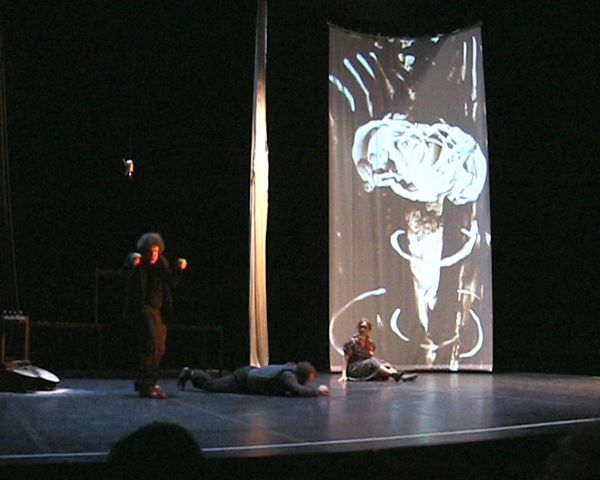 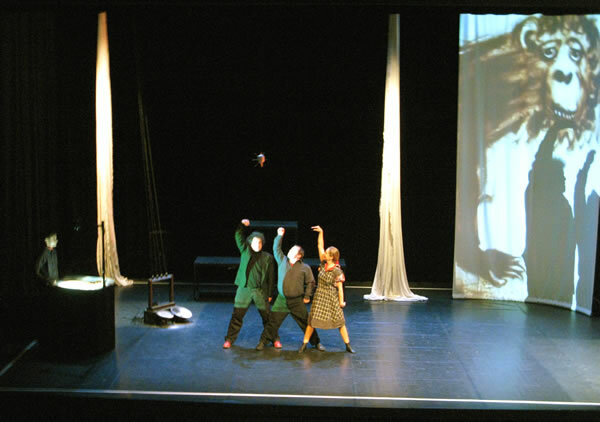 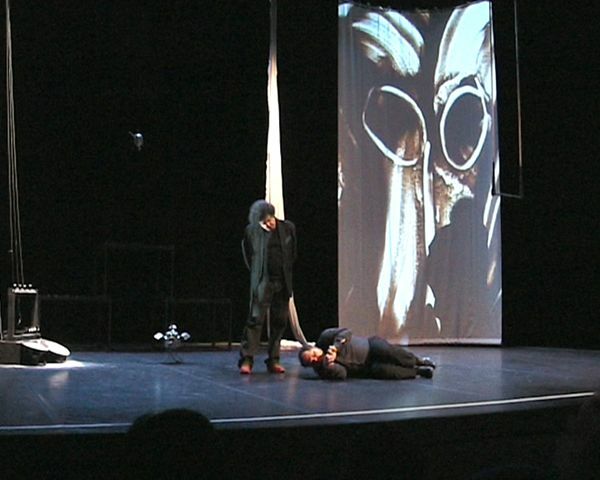 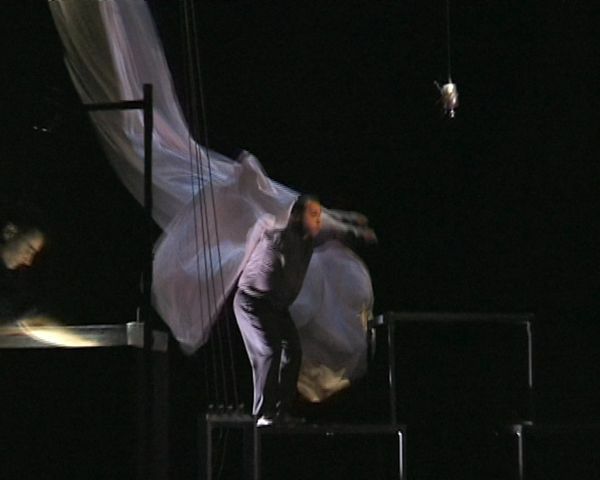 A show very loosely based texts by Gustave Flaubert, Rainer Maria Rilke and Jacques Derrida. 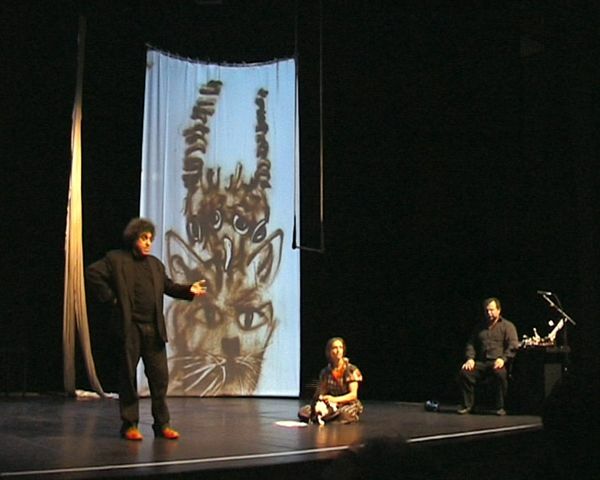 Cast: Cyril Cazmèse, Marc Wery, Hélène de Vallombreuse, David Myriam, Titou the cat, & Lola the parrot. 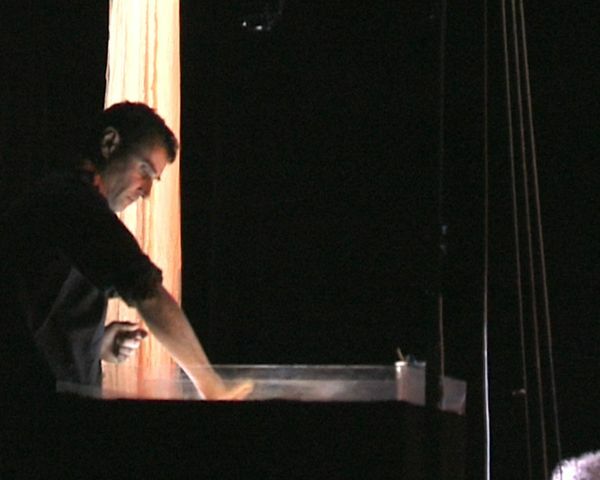 Creating scenic and lighting: Pierre Galais. 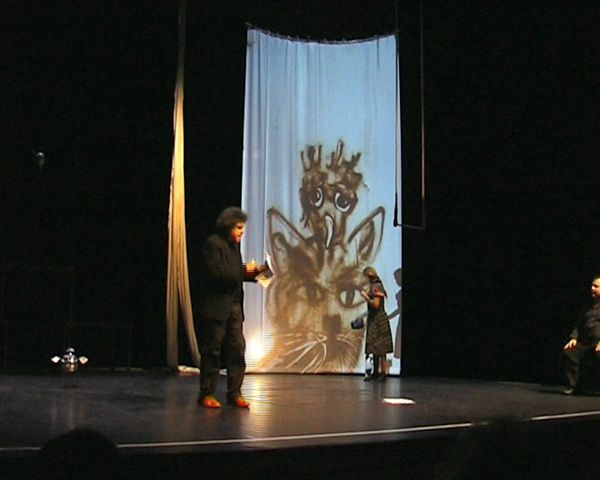 2010 - Live sand drawing for the play "Cet animal qui nous regarde"
A parrot, a cat, a visual artist, a trapeze artist, an actor-zoomorphic, a singer, a mix of men and beasts, words and gestures. 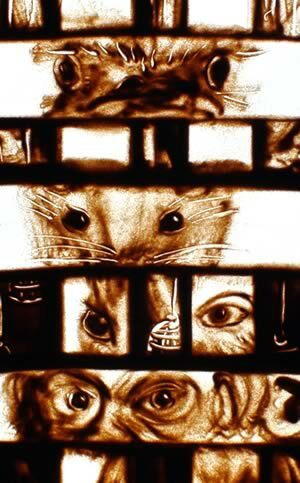 But what are our relationship to animals, this "others" often humiliated and despised but also loved, adored, this quasi-brother? 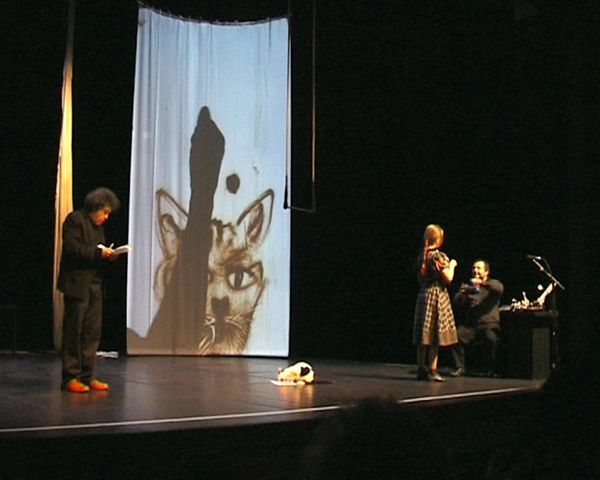 "Almost ..." Duviquet Jade said ... as when one speaks of quasi-sibling brothers in a stepfamily, lets simply call the animals our quasi ... "
Home > News > Performance in the play "Cet animal qui nous regarde"